While the UK government may not have carried out sectoral analysis of the impact of Brexit, it has developed a comprehensive industrial strategy that seeks to become the road map for the UK’s place in a global economy post Brexit. In this blog, Brian Cleary looks at the strategy and also the role that regulatory affairs plays in the UK’s post March 2019 life science plans. Raising total research and development investment to 2.4% of GDP by 2027. (To put this in context, the UK’s GDP in 2016 was $2.619 trillion). The UK aims to establish a technical education system that rivals the best in the world. It aims to invest an additional £406 million in teaching STEM subjects. It aims to launch a national re-skilling service to enable individuals to retrain and secure roles in sectors such as life sciences. There will be £31 billion made available to fund new infrastructure. Included in that will be a half a billion pounds of a national electric car infrastructure and grant scheme for electric car drivers and a £1.4 billion for digital infrastructure improvement. 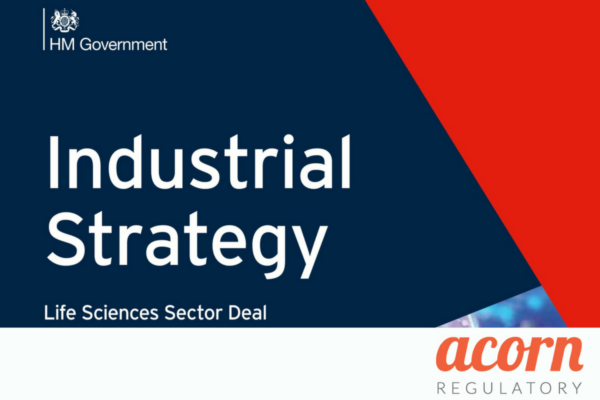 The Life Science Sector Deal is the first of a number of sector specific deals that will seek to regenerate industries where UK productivity is lagging behind other countries and to give an additional boost to sectors, such as life science, where the UK is already an established leader. The UK Government will create a £2.5 billion investment fund for high potential start up businesses. Local industry strategies will be created to assist regions where unemployment is higher than average and where traditional industries are no longer a significant part of the local economy. There will be a new fund for the development of city regions. What Is The Life Science Strategy? 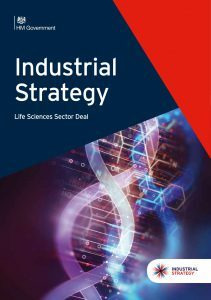 The Life Sciences Sector Deal Industrial Strategy was led by Professor Sir John Bell and it aims to identify areas where the UK’s life science sector can increase productivity, improve the use of data, reinforce a strong science base that is home to companies such as GSK and Astra Zeneca, deepen indigenous skills and benefit patients. The challenge for the life sciences sector is how it takes the United Kingdom forward while being unaware of where it will stand in a geopolitical context and what its future relationship with its largest trading partner will look like. Events of recent weeks have done little to cheer those skeptical about the viability of the life science sector strategy plan. However, it is this strategy that has, perhaps, given the UK Prime Minister and her embattled government most to cheer about in recent times. Approximately 25 companies have committed to new investments in the UK in the coming years. The companies, like the investments, range in size. They demonstrate, to many, that the UK’s life sciences sector will still be a global leader after the UK leaves the European Union. GSK has committed to investing £40 million into new initiatives that will harness advances in genetic research in the development of novel medicines. Astra Zeneca is committing £500 million in developing its new strategic R&D centre and global headquarters in Cambridge. MSD intends to create 950 jobs at a new research facility and headquarters. Janssen, a Johnson & Johnson company, intends to work on novel clinical trial methodologies in collaboration with the University of Oxford. Roche Diagnostics will work with the NHS to support the mainstream implementation of Digital Pathology Services in England. There are others investments such as the substantial one being made by Qiagen in Manchester that will see 800 jobs created. Ever before Brexit became an issue for the UK, there was a problem in attracting suitably qualified staff in the UK’s life science sector. The decision to leave the EU and the uncertainty that it has brought about (an issue that we flagged over 12 months ago) has the potential to leave those seeking to invest in the UK with a large problem. MSD’s 950 jobs, Qiagen’s 800 jobs and others will have to be filled from somewhere. However, a reluctance of suitably skilled candidates to move to the UK and a shortage of the right people coming through the academic system will adversely impact on this initiative. The ongoing uncertainty coupled with the unhelpful drumbeat of UK politicians and commentators espousing drastic methods of immigration control will hinder the development of the industry in the long term. December 8th’s assurances regarding the rights of EU nationals in the UK will have gone some of the way to assuaging the nerves of many people considering moving to the UK. However, firmer commitments and certainties are needed to provide ‘water tight’ security for people. There are positives for the UK’s regulatory community, and those who wish to join it, in this strategy. Buried deep in the main document (p.40) is a recommendation that the regulatory sector will become one of the areas that is considered for new apprenticeships. The UK has long held an enlightened approach to the issue of apprenticeships. This is a very positive move. The phrase ‘regulatory alignment‘ has already sunk one set of negotiations in the Brexit talks. In the life science sector there are many companies that would like to see the UK aligned as closely as possible with the EU in order to maximise the potential for post-Brexit trade. Indeed, the concept of alignment or no divergence was a consistent thread of conversations that I was part of, with an array of regulatory professionals, at the Westminster Health Project Brexit conference earlier this year. Many of the world’s top 10 pharmaceutical companies have publicly commented on a need for such an alignment with one asking for ‘maximum alignment between the UK and EU on trade, regulation and pharmaceutical supply chains‘. 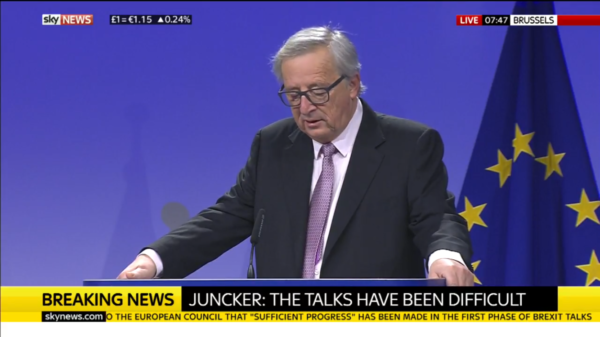 Again, the statements made earlier this morning (December 8th 2017) by both Jean Claude Juncker and Theresa May seem to point to an alignment of sorts and, yet again, the exact detail needs to be explained before companies can have any real level of assurance. Alignment issues aside, companies partaking in the new Life Science Strategy, and those that are not, will need to make changes. The EMA has issued a very helpful questions and answers document (updated on December 1st 2017) detailing the steps that companies will need to take and consider. Richard Llewellyn, author of ‘How Green Was My Valley‘ once said that “bad news has good legs”. In this case he appears to be correct. The good news and positive sentiment that ought to have been engendered by the launch of the Life Science Strategy has been buried in the deluge of Brexit related issues. However, it is worth pointing out that such a positive and far sighted strategy could enable the UK to maintain and strengthen its place in the global life science sector – if Brexit negotiations run smoothly. The sector has rightly identified the need for more people to enter the regulatory affairs sector. In developing an apprenticeship model the UK may succeed in ending the skills shortage in the sector that every other country has not succeeded in closing. In all, this positive document has merit and could ensure that the sector continues to grow despite geopolitical changes.